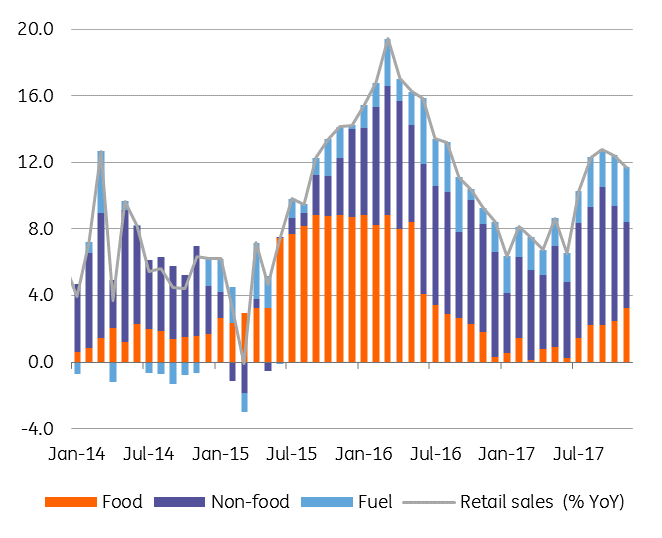 Sales of food items accelerated from 7.7% to 9.5% YoY in November 2017, while fuel sales increased to 15.2% YoY from 14.8% in October 2017, despite higher gasoline prices. Retail sales for the first two months of 4Q17 suggest a sequential slowdown versus the previous quarter but bear in mind; retail sales data is volatile and subject to revisions. 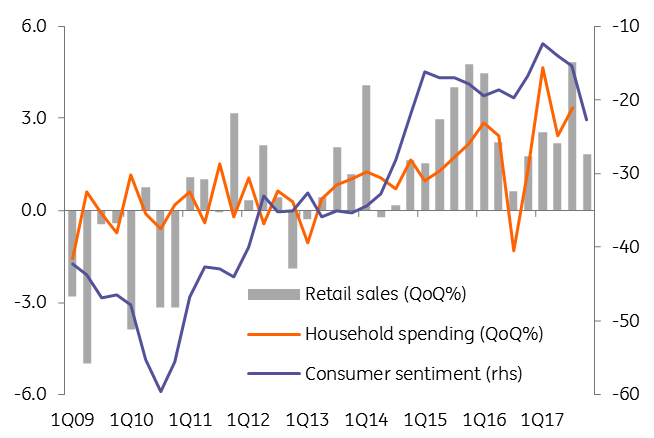 Consumer sentiment indicator looks poor for the last quarter of 2017, and this is likely due to the cumulative effect of higher RON interest rates, uncertainties related to fiscal changes impacting the net income and weaker RON. This likely led to a slowdown in non-food sales, with an unusual contraction, given the Black Friday context in November, versus October for online sales. It could be that news travels faster to some consumers. Hard data is starting to show signs of adjustment after the buoyant consumer story led to fast economic growth. However, the GDP correction should be limited by robust external demand backdrop. 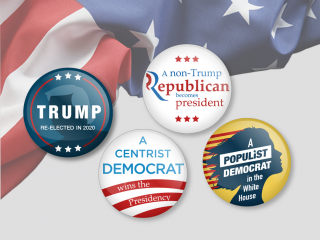 The adjustment might be suboptimal via higher inflation, higher interest rates and weaker currency rather than fiscal rebalancing.